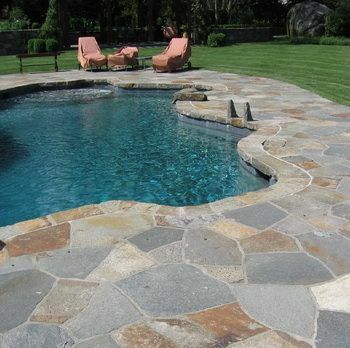 Pool Surround Answers : Granite, Blue-Stone or Sandstone - Drop or Bullnose? 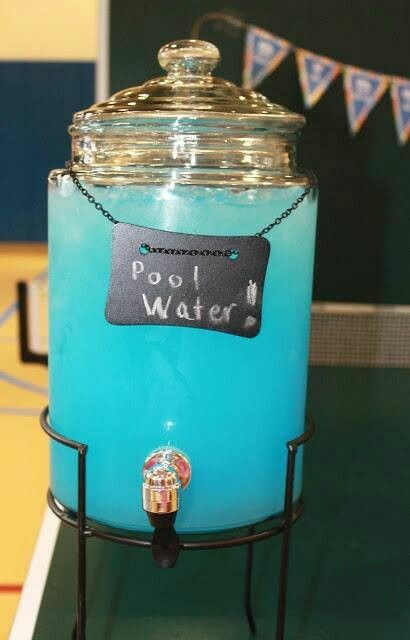 First of – what kind of pool are you building? 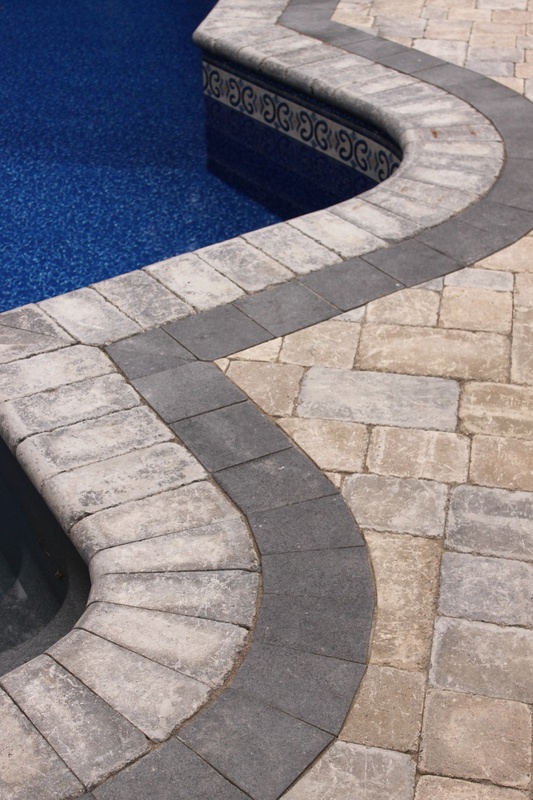 Selecting the right type of coping tile is your first step – and this may play quite the part in your budget. 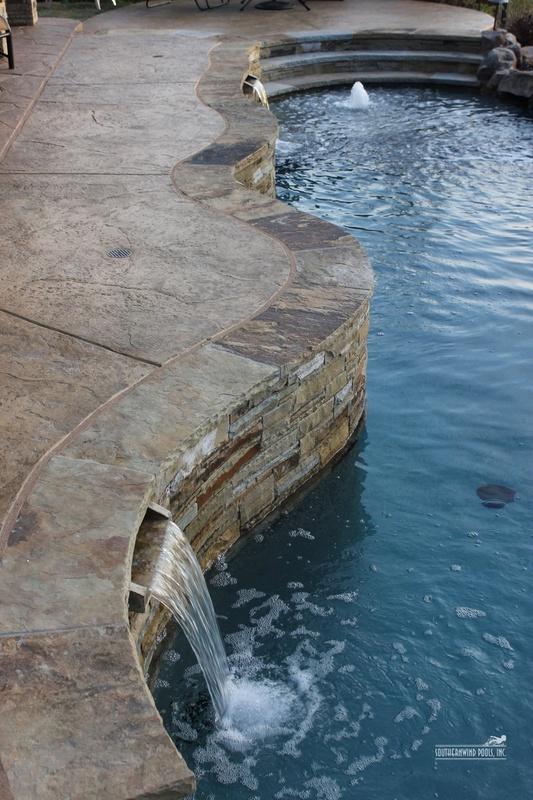 Drop-face coping tiles tend to be more expensive as there is more work involved to make them. 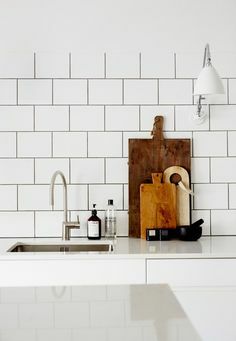 So if you need this type of coping tile this may mean that the more expensive materials will slide right out of your budget. Straight edge and bull-nose coping tiles require a lot less processing so this may open up your options to the more expensive materials. 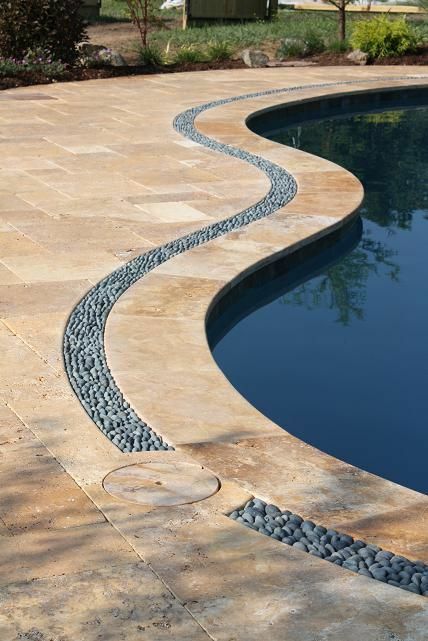 The top part of your fiber glass pool will have a slight taper – a curve. 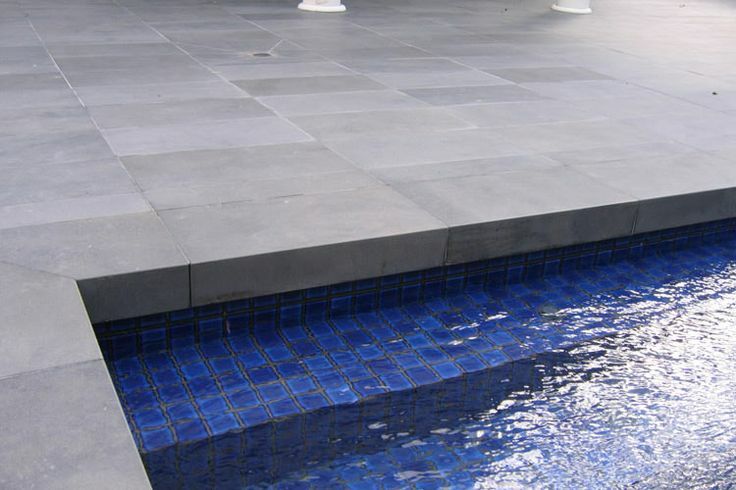 This type of pool lends itself to the drop-face coping tiles. 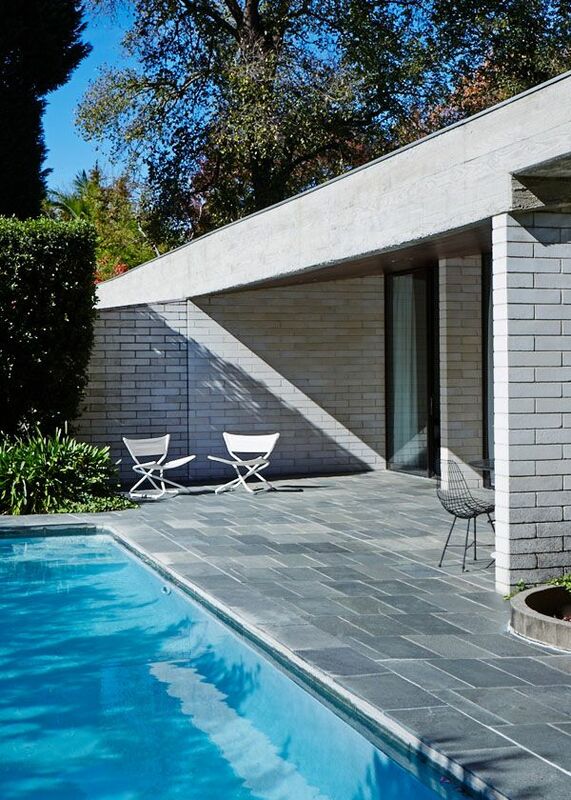 Your concrete pool will have no taper what-so-ever. Unless of course you asked the pool builder to make it that way. This means that you will be able to install whatever type of coping tile you like. This is great and it will open your options up regarding material choices too. Secondly – what colour do you like? Your personal choice starts to come into play here. 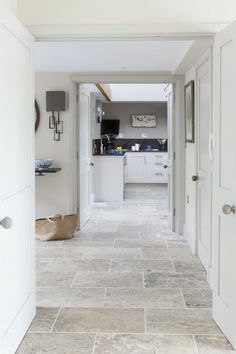 Matching or contrasting nearby surfaces is important. Also is the consideration of the sun – that’s right the sun. 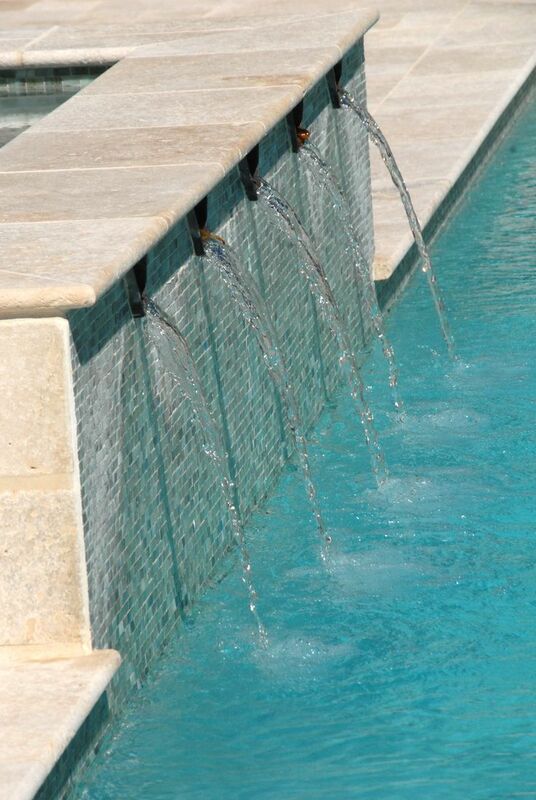 How much straight sunlight will be hitting the pool coping tiles? 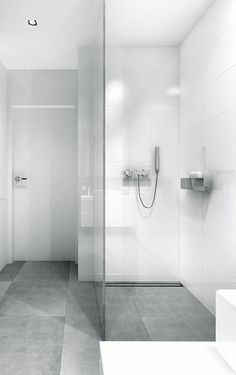 Often times you will be extending the tiles out with a ‘body tile’ of the same material. 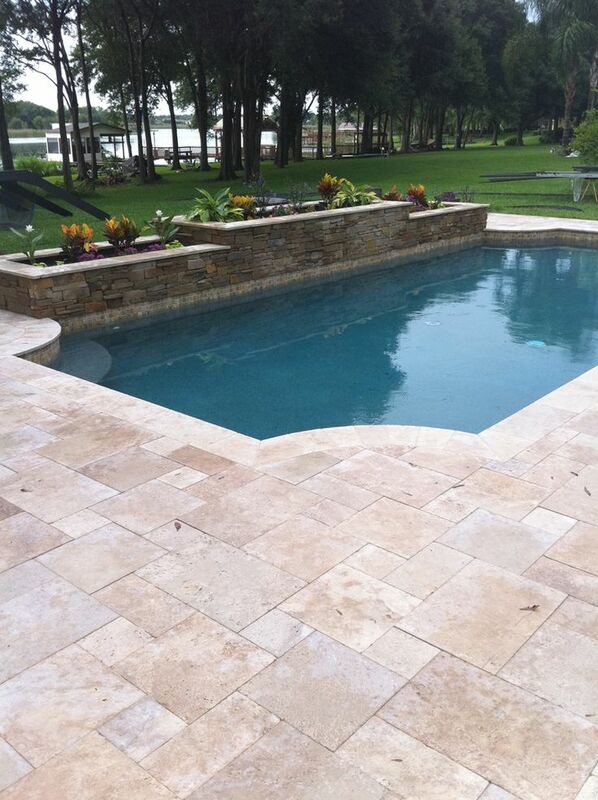 White sandstone is awesome to see around a pool. But make sure that you are going to have some shade cover. Or you will temporarily go blind whenever you venture towards your finished pool. 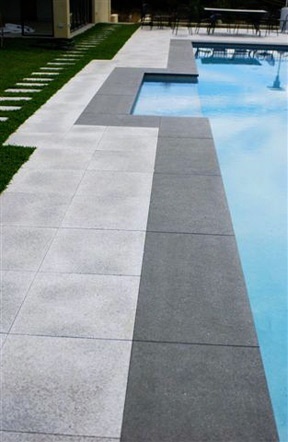 Jet black granite is magic poolside. 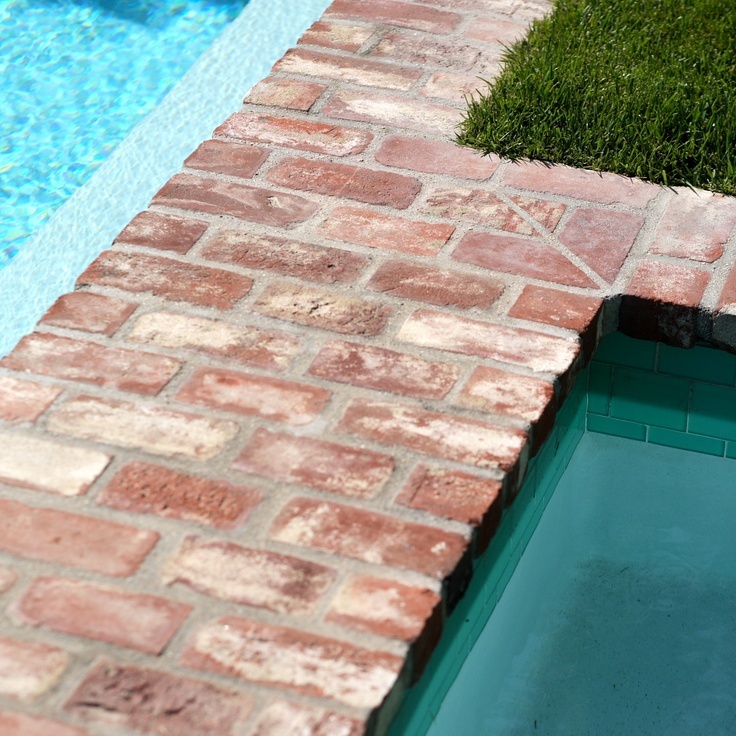 But surface texture and shade levels are key to ensuring your pool area doesn’t turn into a BBQ hot-plate! 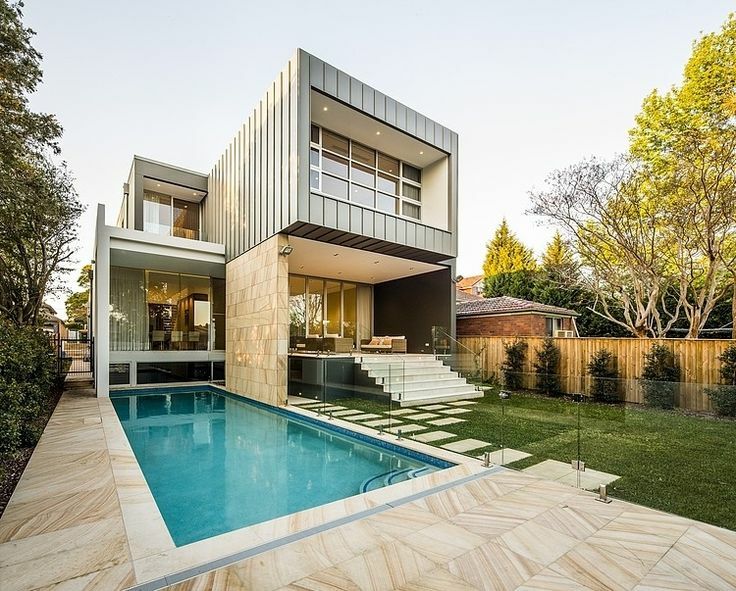 Other materials that can be good considerations for use as pool surrounds include cement products, traditional paving and even regular house bricks. Sandstone is a beautiful product that comes in some nice colors and variants. However – you will need to apply what’s called a consolidator to the product. Ask your stone sales people. And if they don’t know what you’re talking about maybe consider finding a new supplier. This step is crucial and we’ve seen too many people stuck with crumbling tiles. A consolidator will protect your stone. Think of it like a sealer for the inside of the stone. That’s right, if you’re fortunate enough to have a beautiful pool in your back yard plan a pool party and enjoy the space.